Kartik Aaryan and Kriti Sanon have been making headlines ever since they launched the trailer of their upcoming film Luka Chuppi. 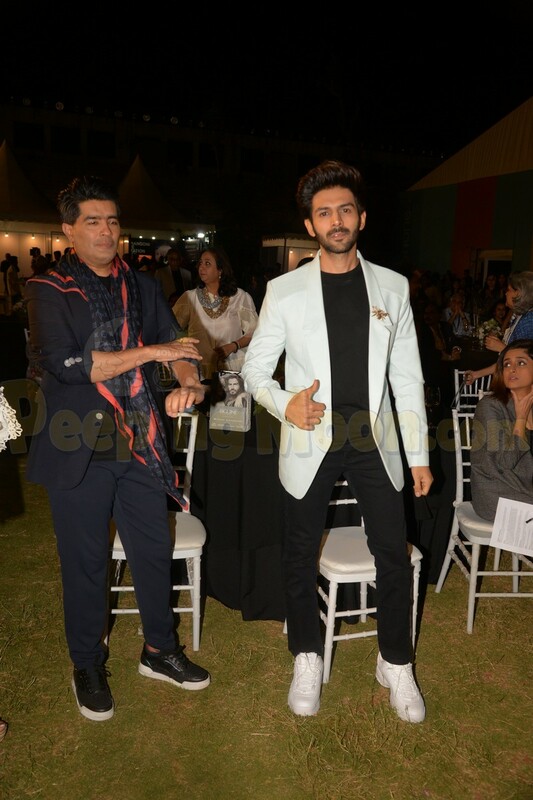 The co-stars were seen at a fashion event yesterday which was hosted by ace celebrity designer Manish Malhotra. 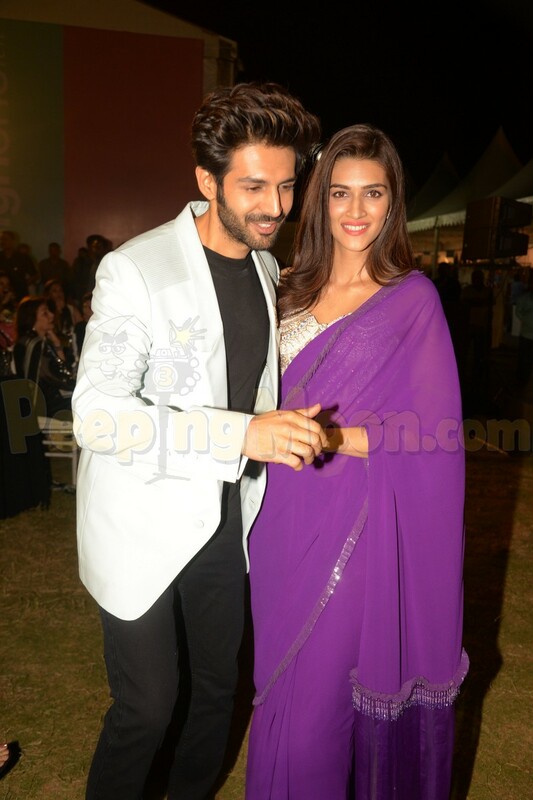 Kartik looked dapper in an all-black look paired up with an off white coat and Kriti made heads turn in a purple Manish Malhotra saree. 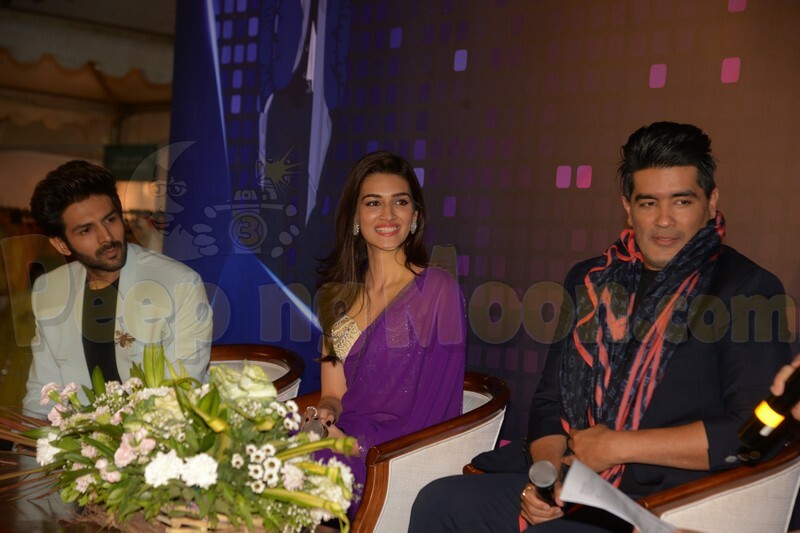 Kriti and Kartik were all smiles for the cameras at the event and were seen chit chatting with Manish. Manish, Kriti and Kartik also shared a few pictures and videos on their Instagram page. The trio was later seen at a dinner hosted by socialite Natasha Poonawalla. Yes, #LukaChuppi is his fav game!! @kartikaaryan refuses to grow up! Thank you my #dearest #gorgeous @natasha.poonawalla for a fun dinner .. @kritisanon @kartikaaryan @peter_dundas @evbousis .